Posted on 09 April 2016. THE failure by UPND to hold a convention ahead of the 2016 general elections is questionable, says governance activist David Kapoma. 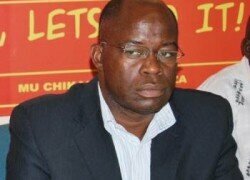 “It is very clear that the UPND does not have a party constitution. If they had a constitution, definitely HH would not be allowed to stand as president in this year’s election. They have gone against their party constitution if they have any,” he said. 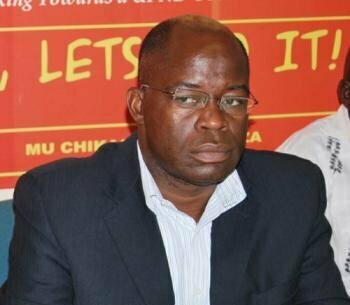 However, UPND spokesperson Charles Kakoma said his party had been holding conventions in the past and that at one of the national management committee (NMC) meetings it was resolved the current executive would take the party to the next election. Mr Kakoma said the committee had also replaced vacant positions which existed at the time. “As far as we are concerned, the National Management Committee met in the past and resolved that the current executive runs up to the next general elections this year,” he said. Mr Kakoma said it was Mr Kapoma who should be subjected to a national convention in his political life as he had no idea what it takes to go to the convention. explained what they would do for the nation if elected into office. He observed that in the recent past the UPND had concentrated much on talking about the failures of the ruling party PF, rather than what they would do for Zambians. “The constitution which they have has been discarded because they did realise that they have breached its demands. “If they have a constitution, then it has just been a decoration because they have never followed it. If they have a constitution, then definitely HH would not have been allowed to stand as president in this year’s election,” he said.